No one told me I had a doppleganger. Source: Won from Nara @ Looking for the Panacea. Nara, you're still my favourite person on the planet. However, in no way did this influence my review. Can she do this? Can she make it without Wren holding her hand? Is she ready to start living her own life? Writing her own stories? No one told me a bunny rabbit and a kitten had a love child and that love child wrote a book. This book was just SO cute. And SO good. 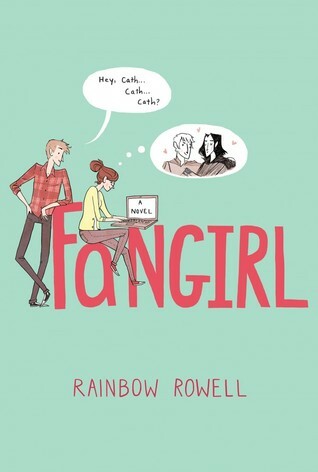 Fangirl is the story of Cath and what she has to go through when she has to uproot her life and move to college. Cath and her twin sister Wren used to be super-close and they always had eachother to fangirl with. But that was before college. Now Wren is trying to mature a little (what a weirdo) and pull away from Cath and her old life a little. Bascially Cath is my alter-ego. Seriously. We both are extremely (EXTREMELY) shy people. I was reading this book and was basically like 'Oh. So this is what would happen if I lived in America and therefore went to college' the whole time I was reading it. I love how Rainbow Rowell always knows just how to tackle an issue. It's actually pretty amazing. She can take something cool and make it ten times cooler. And a YA book about fanfiction is pretty cool. While I don't read fanfiction myself, it was amazing to actually learn more about it and I actually kinda understand it more now. I never realised what a big thing it was, which sounds kinda terrible. But you can tell that Rainbow Rowell has seriously done her research. The only other book by Raibow Rowell other than Fangirl that I've read is Eleanor and Park, and already I can see a common theme between the two that I am a fan of: the way that the author handles the tough stuff. She really does do a phenomenal job. Not only are her books realistic in the way they are written, but also in the way that her characters act and deal with tough times. I'd love to say that I'm freaking out over the release of the Simon Snow fanfiction book thing that the author is releasing later on this year, but I can't really say that I'm bothered. While the fanfiction in the book was ok, it seemed a little like the same thing every time it came up. Baz and Simon fighting everytime and then a lovey dovey moment. Meh. 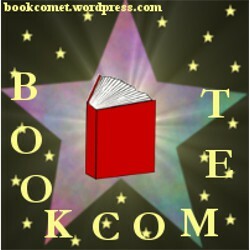 Unless it was the actual author of actual Simon Snow books (her name might of been Gemma T. Leslie or something? I probably got that wrong), then it was just boring but at least it wasn't always the same. However, that being said, I actually preferred Cath's fanfiction over the actual stuff. I actually have so many book boyfriends it's ridiculous but I have another now. Levi. Oh my goodness. WOW. He is actually like my dream guy (well, if I was being super picky he'd have dark hair...but...that's weird). He was cute and funny and smart and perfect and amazing. And I ran out of adjectives. But really, believe me, he's great. Better than great, actually. If you still haven't read Fangirl, then what are you doing. And I actually shouldn't be one to judge since it took me so long to read it myself but build a bridge. Sorry, that was rude. I'm getting passionate. Shoot me. But please don't.